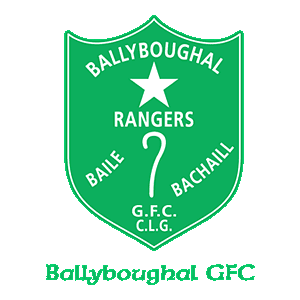 The GAA Club Insurance Manual sets out details of insurance in place for Ballyboughal GFC. The participation in the GAA Liability & Property Scheme is compulsory on all GAA units. The scheme covers the GAA as a Sports and Cultural organisation involved in preservation and promotion of Gaelic Games and pastimes. The key to avoiding claims is the adoption of good risk management practices across all club activities. There is an extension which provides cover for clubs who have facilities which they make available for non GAA Associated use. Examples include use of halls, function rooms and bars for social functions and / or non GAA meetings, non GAA recreational use of Halls, Pitches, All-Weather facilities, walking tracks or other club facilities. There is a requirement that any and all Persons and / or Organisations who seek permission to use GAA property be required to provide evidence of their own valid Insurance with a specific indemnity noted to CLG Na Fianna. In the event of a third party not producing their insurance, then access to the premises is to be denied. Major fundraising activities are not automatically covered and must be notified in advance to the relevant County Board, GAA Risk & Insurance Manager & / or Willis. Any other proposed fundraising events, i.e. Run/ Walk / Cycles/ Strictly Come Dancing / Boxing / Family Fun Days or any fundraising event which involves a significant gathering of people (Over 100) this should be notified separately to the secretary. There is specific risk management documentation for each type of risk and Willis will issue these to us once they have been notified. Willis keeps a record of fundraising activities, and in the event that a third party claim materialises the GAA Risk Committee will check to make sure that Willis have been notified of the event and that the GAA Risk Management guidelines have been adhered to. Please refer to our Player Injury Schemes webpage.